This past week has marked a few nice things. For instance, the countdown to real baseball for every team in the majors is down to days, not weeks. And as the saying goes in ballparks and fandoms across America, "hope springs eternal." Oh, speaking of spring, that officially arrived this week, too, although you wouldn't know it from walking outside. We're still very early in this writing odyssey I've embarked upon. My sincere hope is that by chronicling this adventure I've undertaken, and that by sharing it with you all, I will have created enough incentive to finally see it through after years of making excuses to myself to explain away why it hadn't happened. 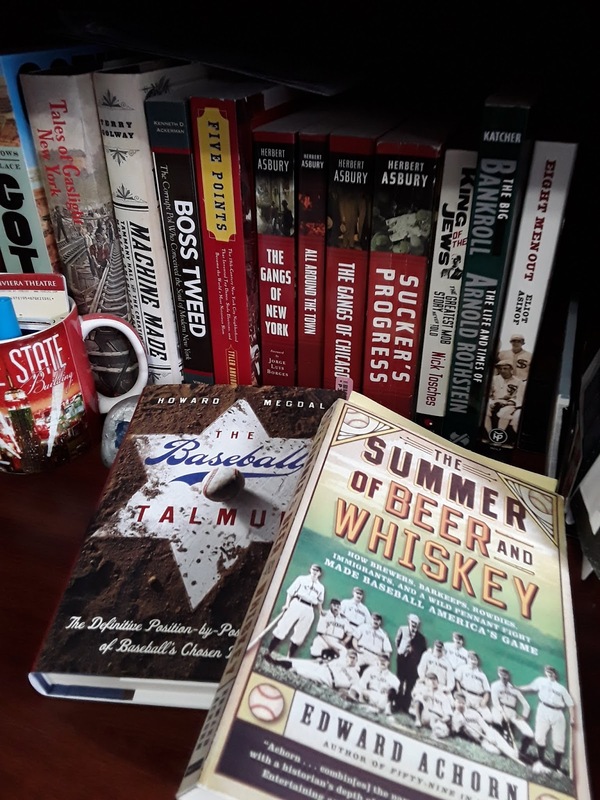 Several of the books seen here will be used as inspiration for what I'm trying to do, which is to merge the mostly ignored history of baseball (at least to the modern fan) with one of the most fascinating times of American history. After all, in the solitary book photo, what isn't necessarily obvious are the 800-plus pages of the thousands of player profiles about professionals who pre-dated most of baseball's most famous names. My point is, there is a book here that has NOT been written. Yet. And I'm determined to find it. I started the week off outlining my story. Each person needs to be cognizant of his or her own strengths and weaknesses. A big weakness of mine is that I have been known, on occasion, to be a little scatterbrained. 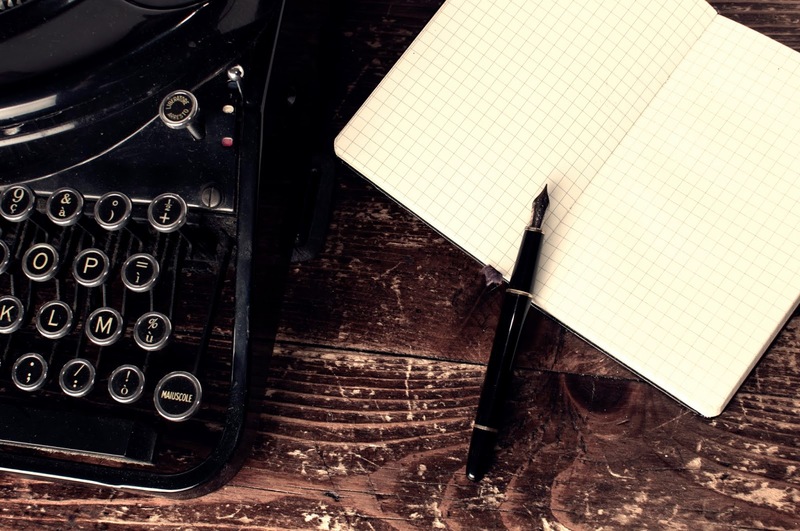 Outlining what I want to write will help to better keep the story progressing from point A to point B, and so on. It will keep the plot moving logically rather than jumping from point A to point J and then back to point C for no reason other than to just do it. That's not to say flashbacks, if done right, don't work. I think I may give that a shot to properly set up some things. As I began creating my story, I cracked open several books to cherry pick names and events to fit the narrative I'm crafting. This is going to be historical in nature, but what cannot be stressed enough is that it will be a fictional tale. It is not something that actually happened. But with enough information, the goal here is to craft something that might have happened or could have happened on a parallel earth. In the end, this may wind up falling under the category of alternative fiction rather than historical fiction. I originally started this project in the first half of 2017. 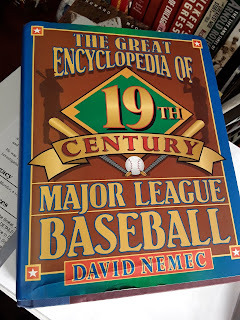 I invested money in a bunch of books on baseball history, and since then I've added to that collection with other supplemental materials focused on specific areas of history during the same time period. It was an exciting time for me, and I let it completely slip away. Jumping back into it now, it was not difficult to rekindle that excitement. "The one constant through all the years ... has been baseball. America has rolled by like an army of steamrollers. It's been erased like a blackboard, rebuilt, and erased again. This field, this game, is a part of our past. It reminds us of all that once was good, and that could be again." In its purest form, baseball is good. Anyone can play. But is baseball really that pure? In early research it was not hard to find evidence to the contrary. One of the first examples of corruption could be found in a game in 1865 between the New York Mutuals and the Brooklyn Eckfords. The game, played at Elysian Fields in Hoboken, N.J., actually had gambling taking place in the stands during the contest. It led to a handful of players being suspended for essentially cheating while the game was still in its infancy. According to written records, one of the players on the Mutuals, was simply in the wrong place at the wrong time, even if he accepted money. That player, Thomas Devyr, would leave baseball a few years later and begin a career of public service as Supervisor of New York's 17th Ward. 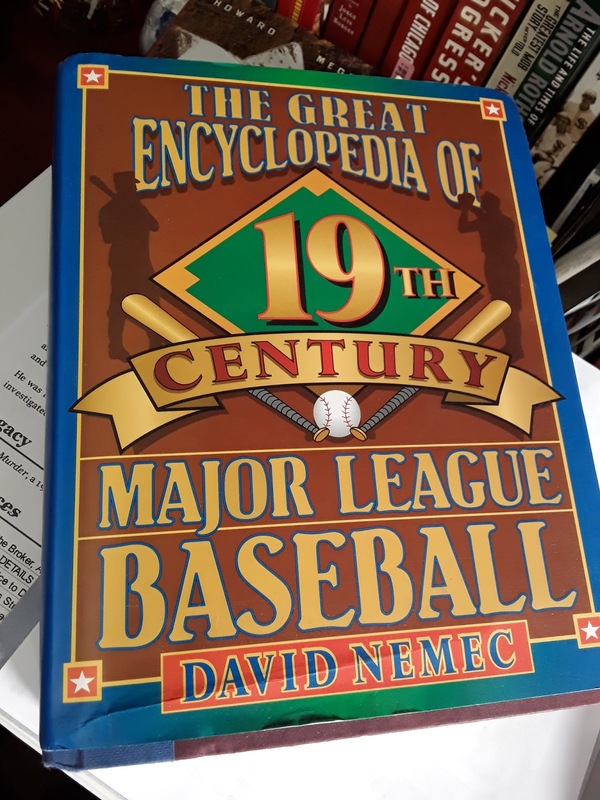 If you are a fan of history or baseball, and you don't find that fascinating, I don't know what to tell you. I just know that I find it incredible, and I'm barely scratching the surface. This project certainly will not happen overnight, but with each tidbit of information I find, the excitement level with which I'm working on it increases. As a Yankee fan, seeing a connection to my favorite team and Gilded Age New York City is really, really cool. I'm looking forward to seeing what other historical lines are crossed, and how I can blur them in for the sake of story. Progress: None, but I've outlined a dozen chapters and seem to be discovering connections between characters on a daily basis. Howie Balaban is a writing fool. It's better than being just a fool.